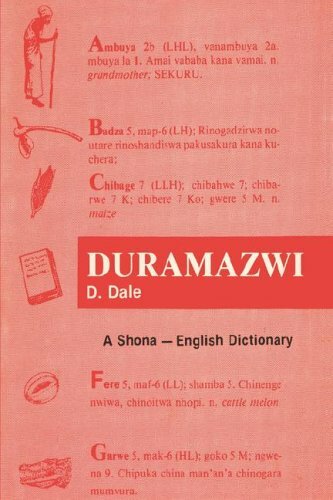 The companion volume to A Basic English-Shona Dictionary is now widely available for the first time outside Africa. It contains some 6,000 main entries, and an additional 700 words, derived or borrowed from other languages. For each entry, definitions in Shona and English translations are given. Some introduction on the structure of the Shona language is provided. If you have any questions about this product by Brand: Mambo Press, contact us by completing and submitting the form below. If you are looking for a specif part number, please include it with your message.